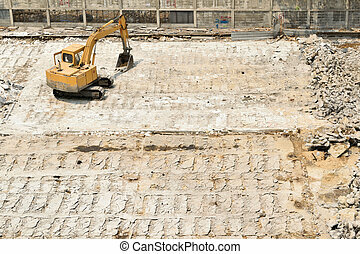 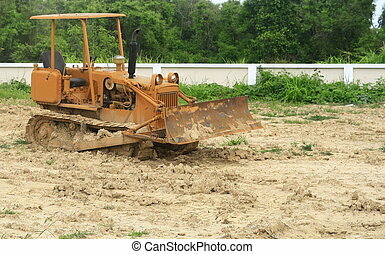 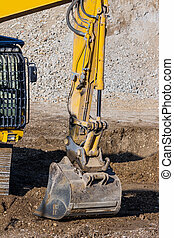 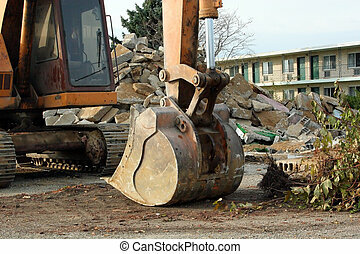 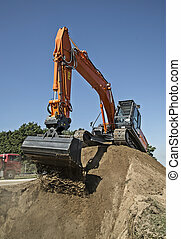 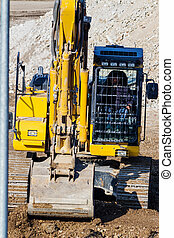 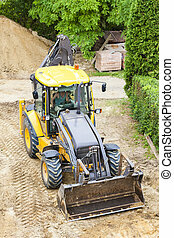 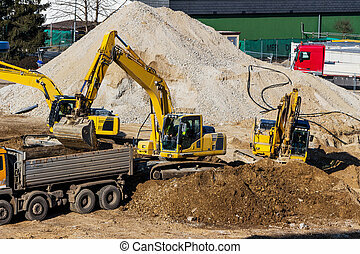 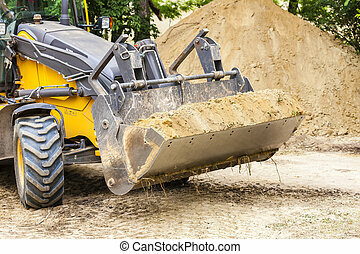 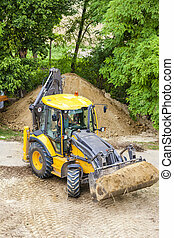 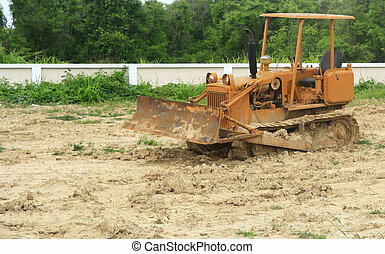 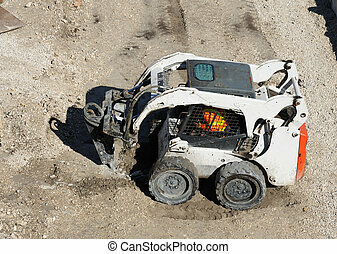 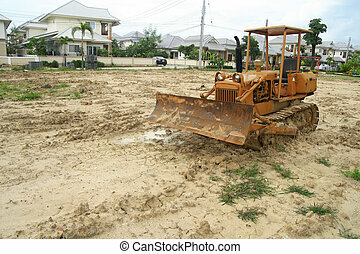 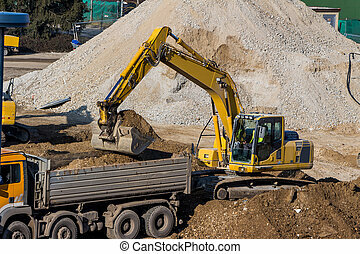 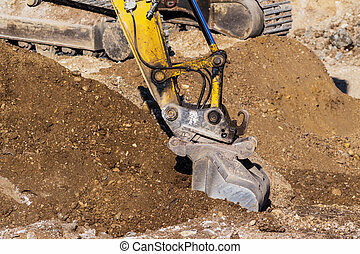 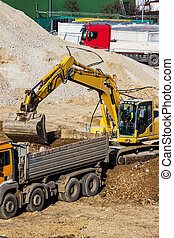 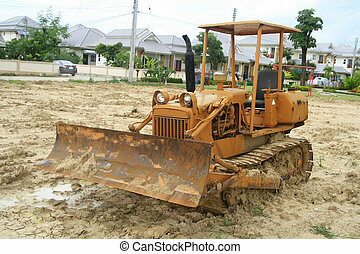 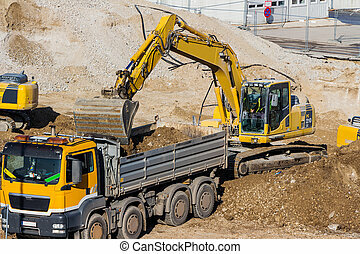 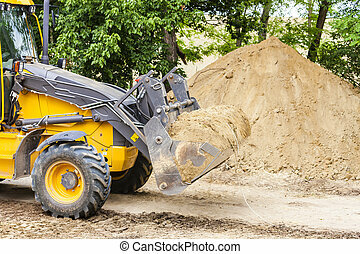 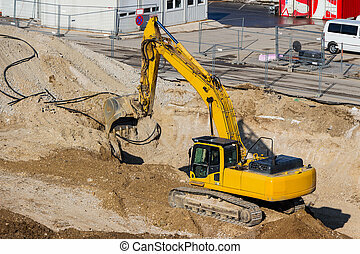 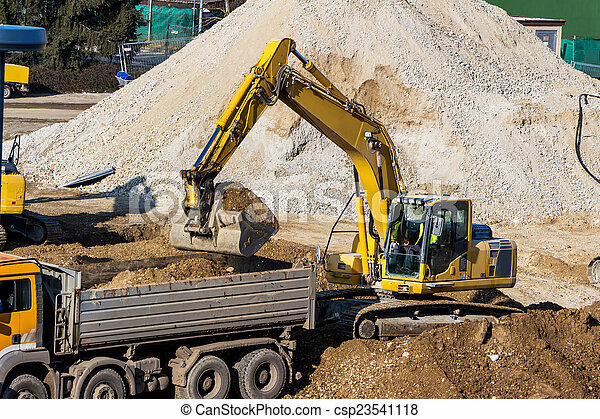 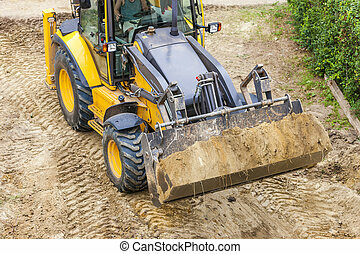 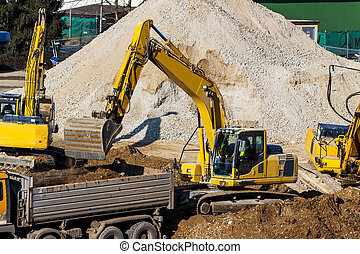 Excavator at construction site during excavation. 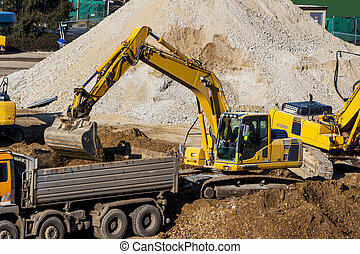 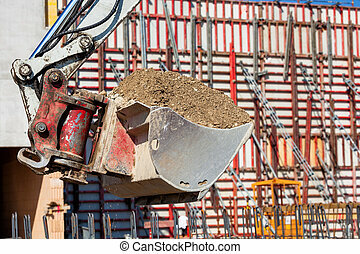 Excavator on a construction site. 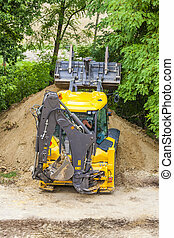 excavator bucket with soil, earthworks. 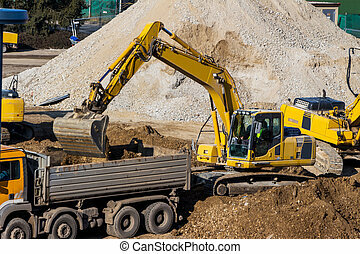 excavator on a construction site. 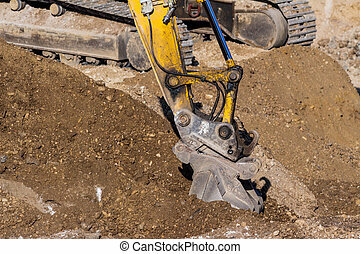 excavator bucket with soil, earthworks. 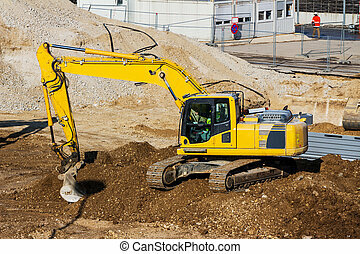 excavator on a construction site. 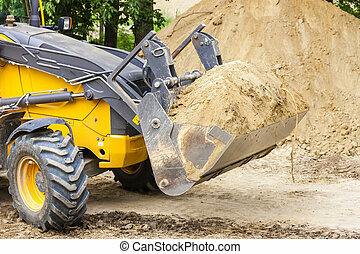 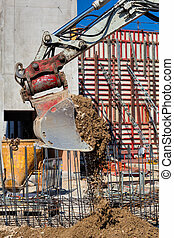 excavator bucket with soil, earth works.